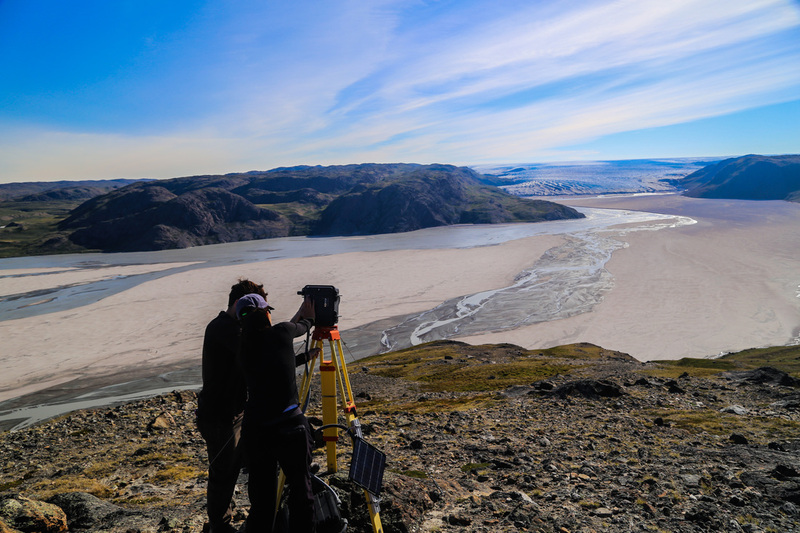 Our July 2013 fieldwork had three main goals: (1) maintain and service existing guages in proglacial rivers near Kangerlussuaq, (2) deploy river drifters in supraglacial rivers both above kangerlussuaq and Illulissat to collect hydraulic data and estimate the amount of water running across the surface of the ice sheet, and (3) service existing timelapse cameras documenting flows in large proglacial rivers. 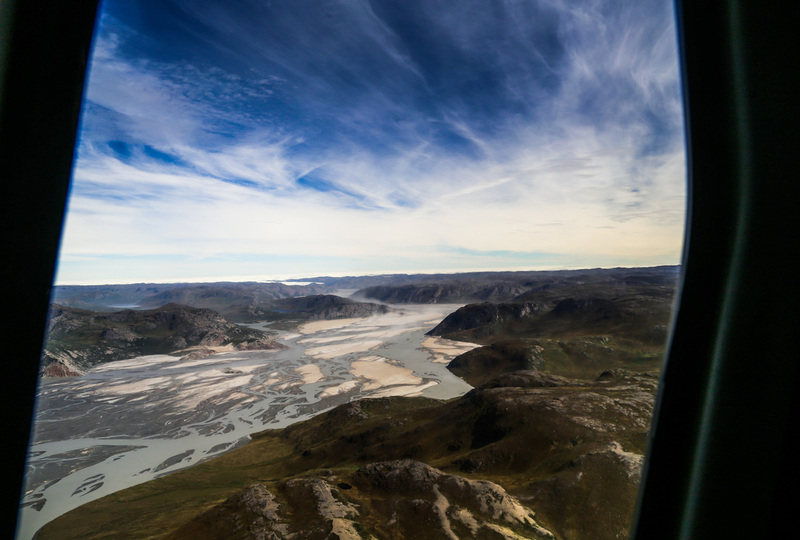 We spend four days flying between Kangerlussuaq and Ilullisat, stopping at targeted supraglacial sites to deploy river drifters. 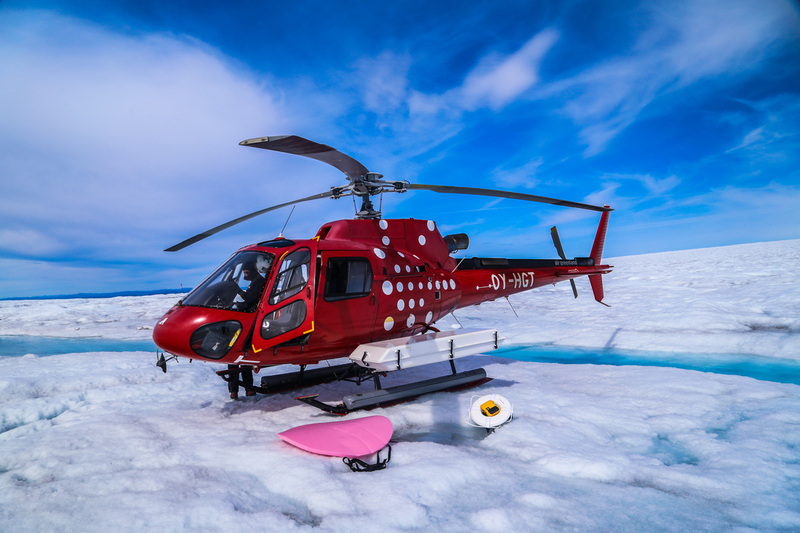 Here you can see one of our river drifters next to the helicopter. Vena Chu prepares river drifters for deployment. Me, selecting our river drifter deployment location. 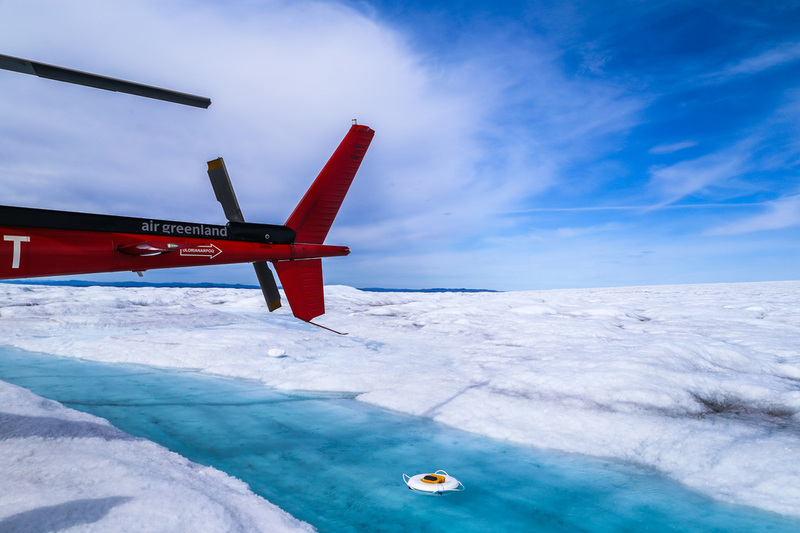 A river drifter soon after being deployed, making its way past the helicopter. 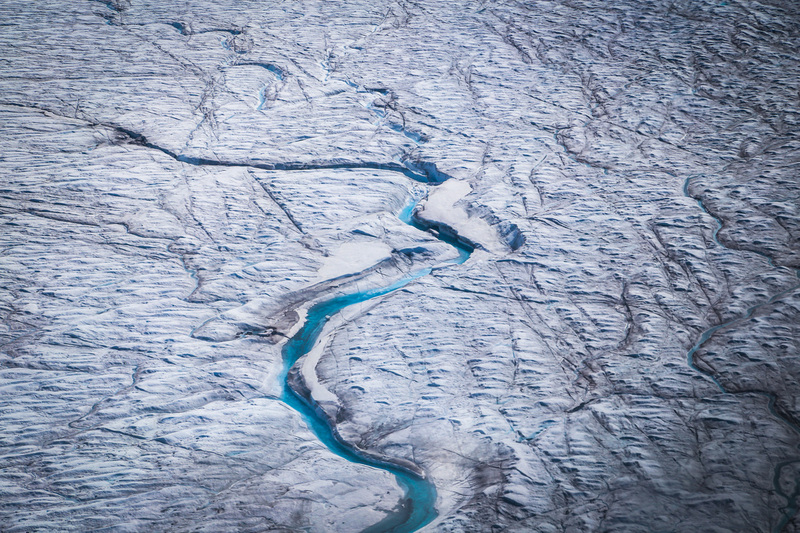 A supraglacial stream feeding the Russel Glacier outlet that we deployed a river drifter in. 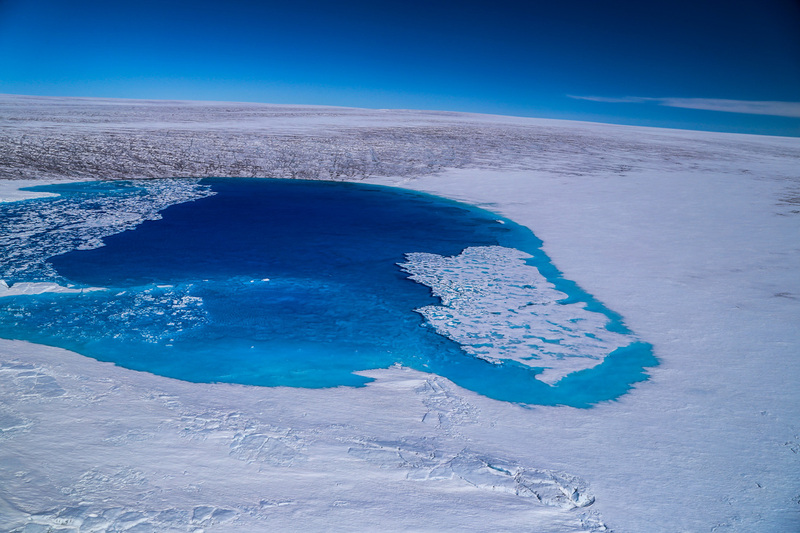 A melt pond above the Jakobshavn Glacier terminus. Picture taken in early July the morning after a night of snow. 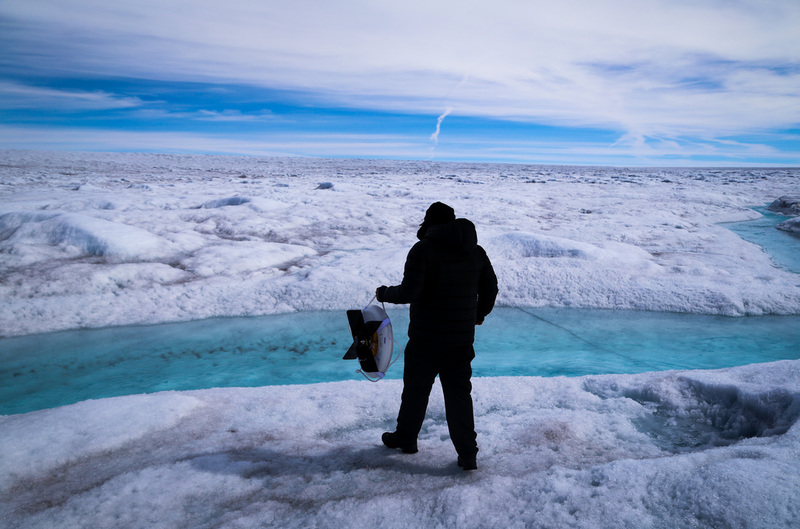 While in Ilulissat we had a full day of rain and poor visibility that resulted in our helicopter not being able to safely fly. 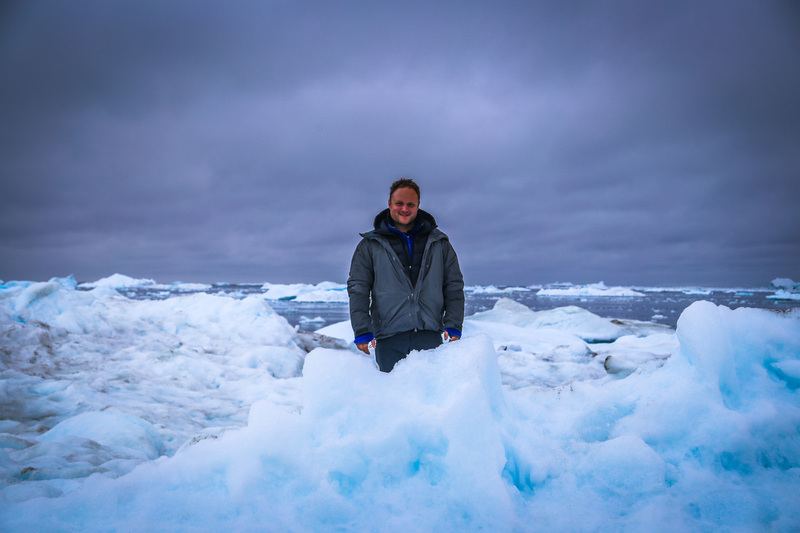 We decided we wanted to touch an ice berg so we paid a local fisherman to take us out ice the Ilulissat icefjord. 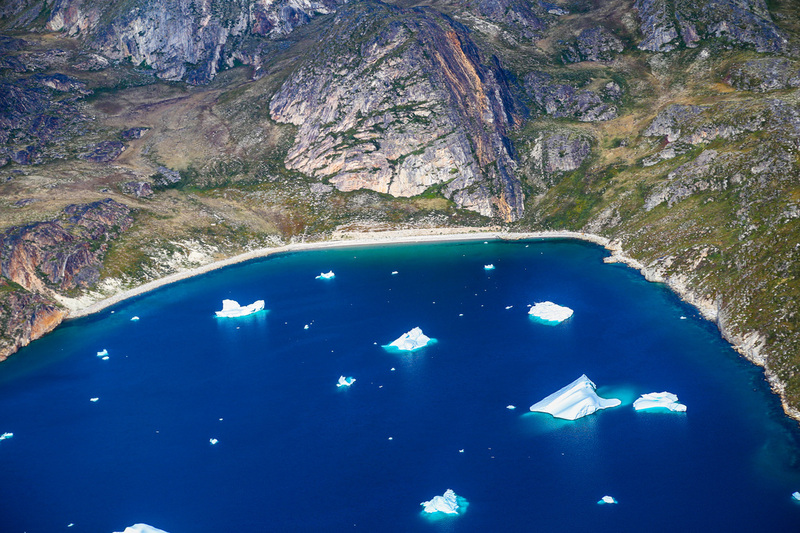 The Ilulissat Icefjord fills with ice as the Jakobshavn Glacier rapidly melts and calves into the sea. 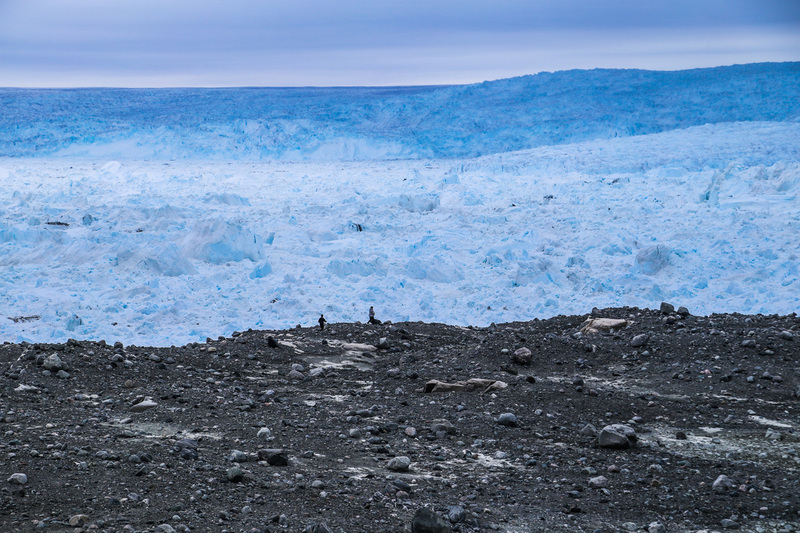 This glacier moves over 20m per day and is the worlds fastest moving glacier outside of Antarctica. 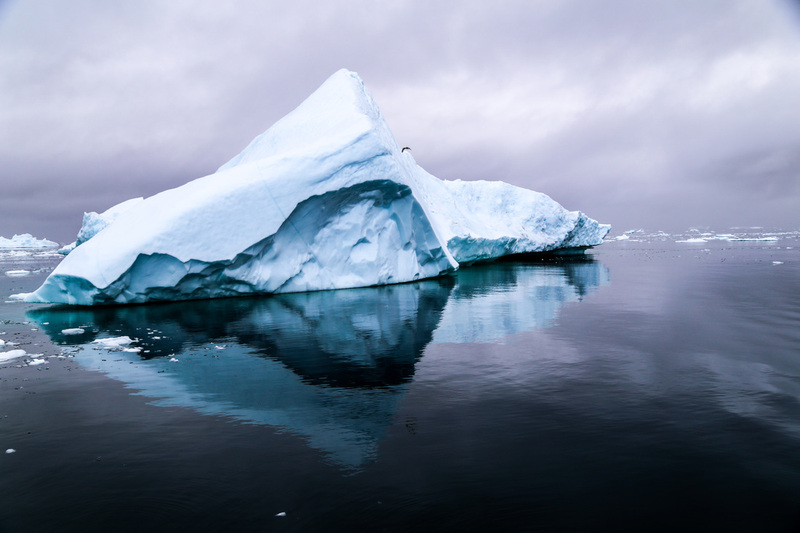 These ice bergs get trapped in a long fjord and can take years to make it out into the open ocean. This also happens to be a UNESCO world heritage site. 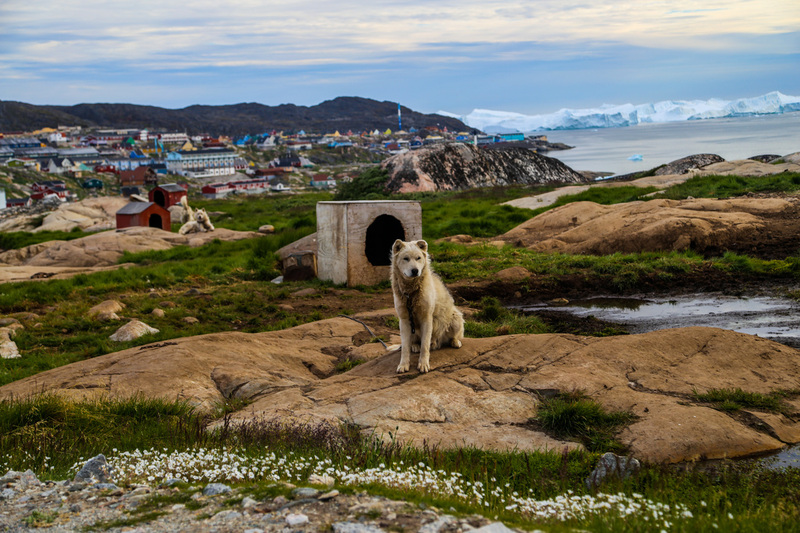 Sled dogs in the summer. After our four days of supraglacial river work we shifted priorities to maintaining our existing proglacial river monitoring sites. 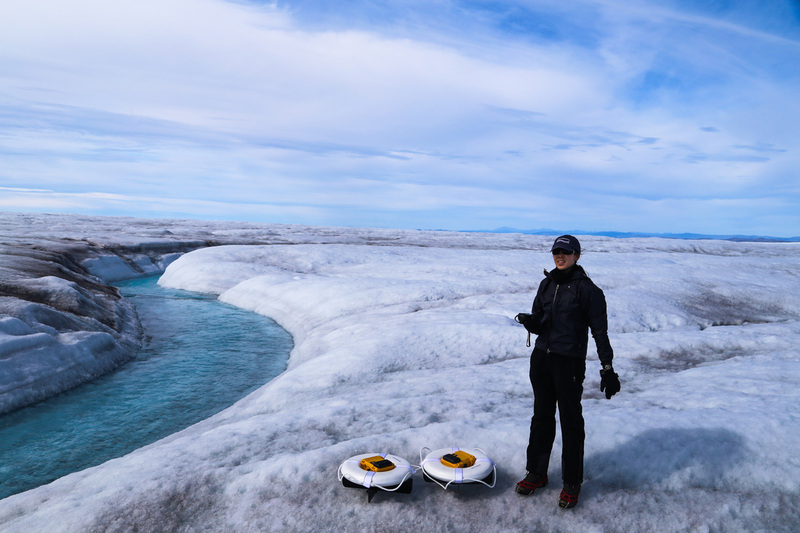 Colin Gleason (left) and Vena Chu (right) service timelapse cameras at the Isortoq River. 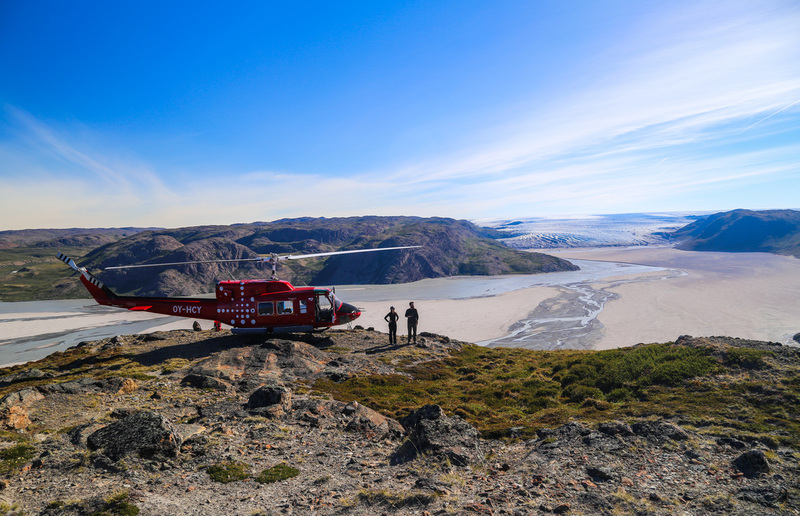 Colin Gleason (left) and Vena Chu (right) take in the view before our helicopter ferry back to town. 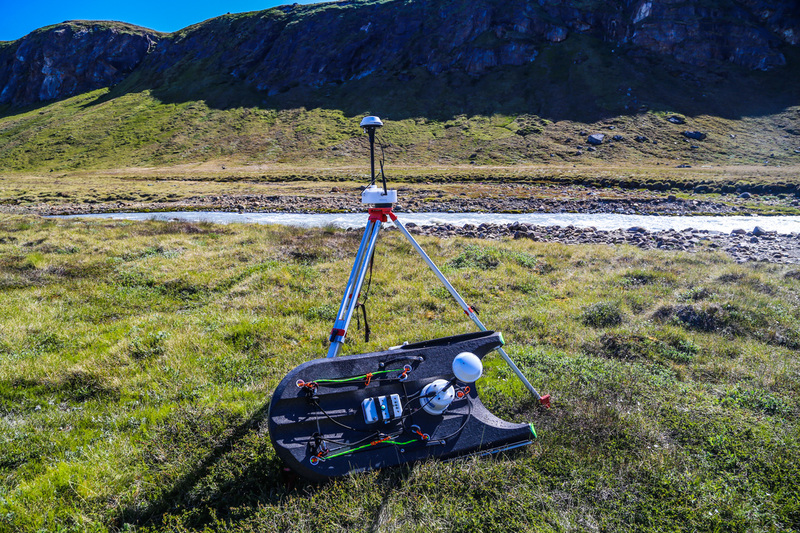 To measure discharge in proglacial rivers we use an Acoustic Doppler Current Profiler (ADCP). Here we are waiting to acquire our RTK GPS link. 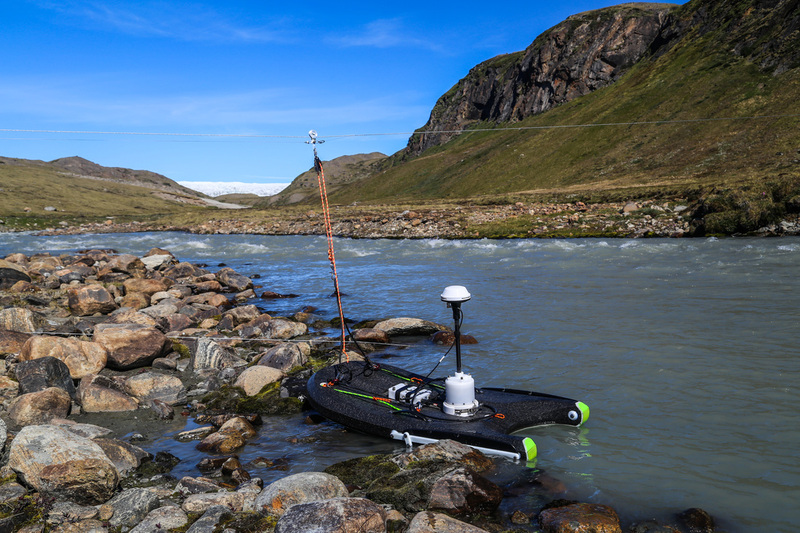 The ADCP on its maiden voyage in Greenland. Here we are using a custom cable way pulley system to ferry the ADCP across the river.